You save 40% that's £40.00! Width 124cm, Height 32cm, Depth 25cm. The ultra modern Karlo wall mounted bookcase in graphite with a pine avola finish interior. This wall shelf is easy to hang and features 3 spacious compartments perfect to place items such as awards,books,collectibles and ornaments. 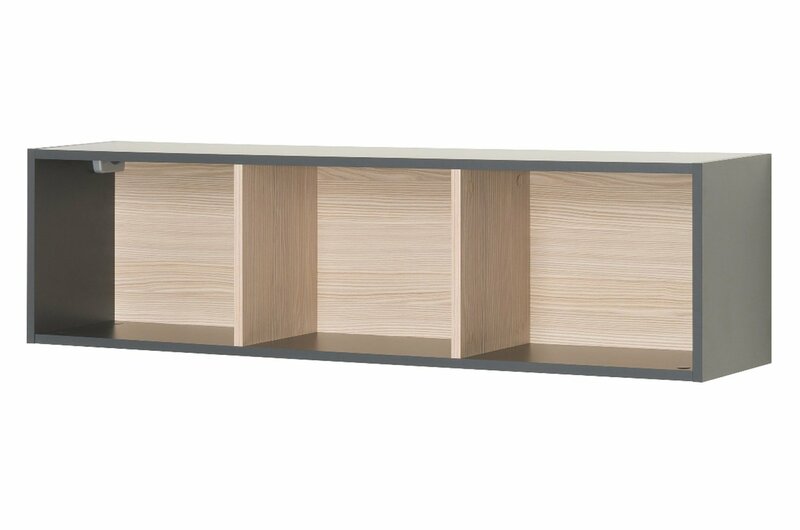 The Karlo shelf will add a modern touch to any decor.